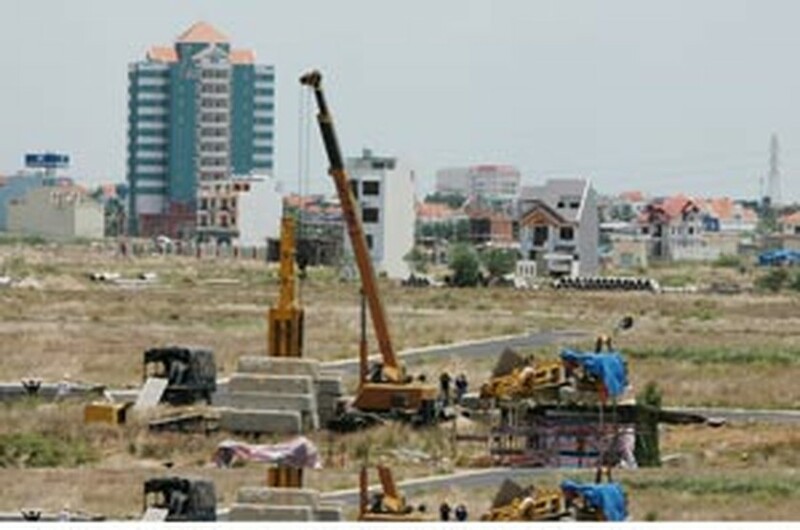 The Vietnamese government’s decision to tighten lending standards and the prospect of a progressive tax on land speculators has taken much of the air out of the property bubble. So much so, in fact, that last week in Ho Chi Minh City many speculators went to the city government and the media crying for help. Is their no end to their greed? Everyone knows that property prices have skyrocketed in recent months, and that it’s because of the speculators. They borrow from the bank to buy land or a house and then sell it several days later for a very quick profit, and without using their own money or incurring income tax. Needless to say, this activity has pushed prices up by the day so that vacant land and existing dwellings now exceed their proper value by a huge margin. As a result, planned housing projects cannot proceed as the developers cannot afford to buy the land at such steep prices. Instead, the speculators buy and sell it many times over and the land itself remains unused, sort of like a “gold cemetery” (since land and housing prices are nearly always quoted in gold taels in Viet Nam). In the meantime, factory and office workers, teachers, and government employees cannot afford to buy houses as their salaries are nowhere near enough. For example, someone making VND2 million a month would take more than 100 years to save up for a home of their own. Such a market is not healthy, and is a good example of where government intervention is essential. If genuine land developers have the money to proceed with their plans, the situation should not be such that they are too scared to get their projects off the ground, so to speak. And if the speculators fall by the wayside because they cannot borrow from the bank like before, that is their problem and theirs alone. In many case, it’s the looming prospect of bankruptcy that is causing them to shout for help. But when their pleas are stacked up against the cry of tens of thousands of people needing to buy a home, it’s pretty clear which side the government should be on, and is, judging by its recent action to restrict bank lending. Only through government intervention can the real estate market be returned to normal and prices fall back within the reach of the many rather than the few.